You are here : Home \\ Blog || Short Sale Articles \\ Short Sale Antioch Just Listed Near Brentwood Border, Great Home! Short sale Antioch experts at East Bay Short Sale Group are happy to announce another short sale listing in Antioch, this time located at 4941 Lefebvre Avenue, near the Brentwood border. It’s a four bedroom, two and a half bath, 1,785 square feet, two story, single family residence, really nice home, quite a few updates. We’ve got this property priced at $270,000. This is a short sale that’s with Chase who has the first loan. There is no second loan on the property. This is a great deal for the right buyer who is looking for a short sale Antioch. We’re going to be putting this on the market in a couple days here so if you have been looking for a home in Antioch and you’re looking to purchase, you know there’s not a lot of inventory on the market. This can be a great opportunity for you so please contact us to schedule a personal showing of this property. It will go fast so time if of the essence! If you are looking to potentially sell your home as a short sale in Antioch or anywhere else in the East Bay, we are the experts at that. We’ve sold over 60 short sales last year in 2012 and have helped hundreds of homeowners successfully sell their home as a short sale. In many cases we were actually able to get the seller cash back at closing from the bank in the form of “seller relocation assistance”. If you want to sell your home we can see if you qualify for cash from your lender after the close of the short sale. To learn more about the services we provide, including short sale Antioch homes or other homes available you can always visit our YouTube Channel. Previous post: Short Sale San Ramon Experts Have Just Listed Another Home! 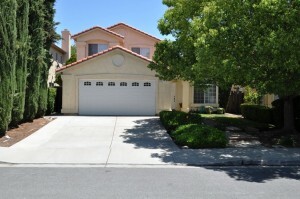 Navigation: Weblog / Blog article: Short Sale Antioch Just Listed Near Brentwood Border, Great Home!